South Korea is set to power up its nuclear industry again. President Moon Jae-in signaled Friday he would accept the findings of a government panel that recommended restarting the country's stalled nuclear power program. That's a big U-turn from Moon who in June vowed to pull the plug on new reactors and cancel extensions on older ones. 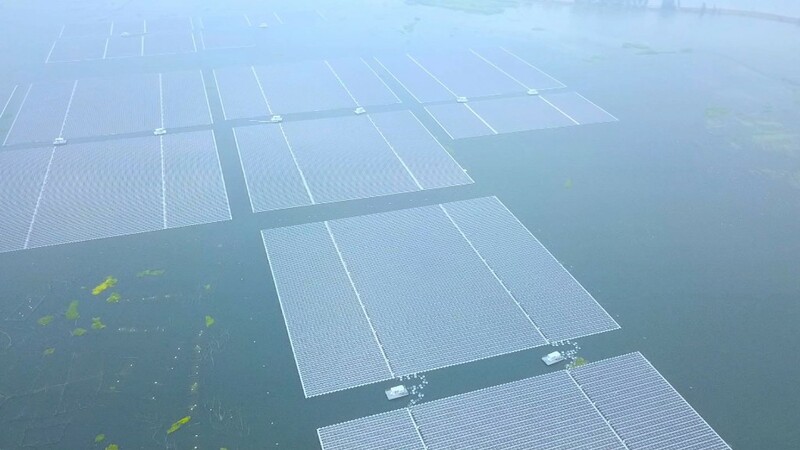 The president had been eager to rebalance the country's energy needs away from nuclear power and polluting fossil fuels to renewables and natural gas. The use of nuclear power came into question around the world after the crisis at Japan's Fukushima Daiichi plant following a devastating earthquake and tsunami in 2011. Some big nations like Germany pledged to do away with it altogether. Moon's climbdown gave a big lift to some industrial and energy stocks in the country. The decision came after an official survey found that that nearly 60% of people polled were in favor of resuming construction of two halted reactors. 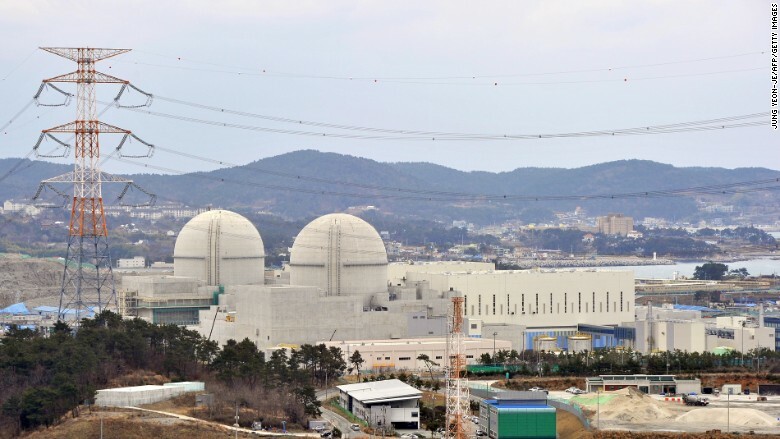 Winding down South Korea's nuclear power generation was a campaign promise for Moon, who was elected in May after the impeachment of predecessor Park Geun-hye. Moon has previously said he wants to phase out use of nuclear power in the country entirely. Park Soo-hyun, a spokesman for the president, told reporters that Moon's office respects "the will" of the government panel. Work on the reactors, in the country's southeast, was about 30% complete before it was halted in July. Nuclear power is big business in South Korea. The country lacks natural resources and imports nearly all of its energy supply from elsewhere. According to the World Nuclear Association, 24 nuclear power plants provide about a third of South Korea's electricity needs. The Shin Kori nuclear power complex in South Korea. The government has decided to press ahead with work on new reactors at the site. The country is also a major exporter of nuclear technology to the world. State power company KEPCO has a long-standing $20 billion deal to supply reactors to the United Arab Emirates, while the government said in 2010 it wanted to generate nuclear technology exports worth $400 billion by 2030. Kerry Anne Shanks, an energy analyst at consultant Wood Mackenzie, said that killing the nuclear power plant plans could have made such deals politically complicated. "If the government of the country that's developing the nuclear plant is anti-nuclear, it doesn't help," she said. Ditching nuclear energy would probably have led to an unpopular rise in electricity prices as well, according to Shanks. Stocks in big South Korean companies involved in nuclear power plant construction surged after the announcement from Moon's office. KEPCO's Engineering & Construction subsidiary soared as much as 20%, and Doosan Heavy Industries & Construction gained as much as 12%. -- Lauren Suk contributed to this report.